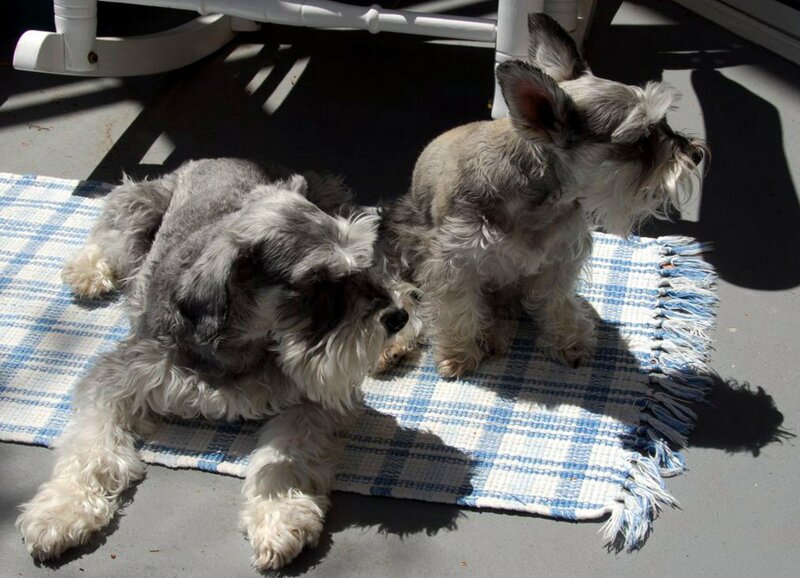 In our house, Bandit and Murphy go by many names: Miniature Schnauzers, family members, kids in dog suits (hat tip to my sister-in-law Linda for that one), and constant writing companions. Bandit occupies the spot beside my feet, and Murphy, the part-cat, part-rabbit runt, usually sleeps in his bed on the desk beside my keyboard. (sleeping) by my side every step of the way. You're both good boys. 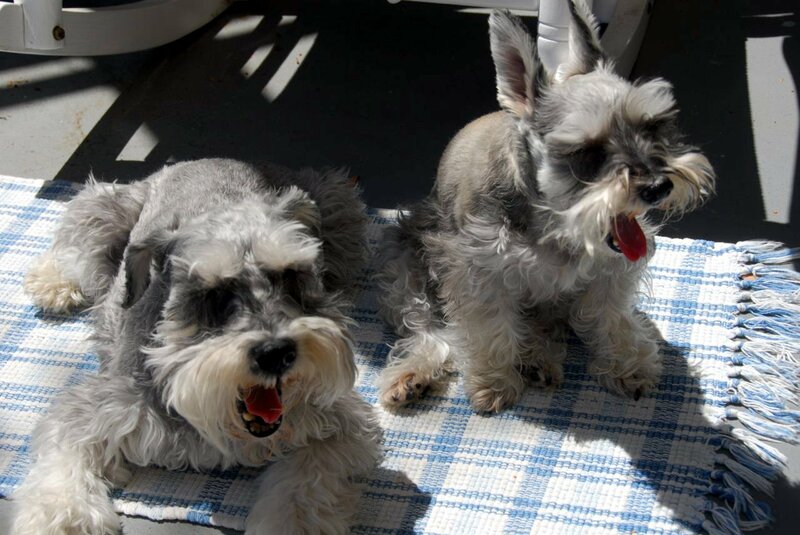 They may get sleepy alot . . .
And yes, they’re both easily distracted . . . 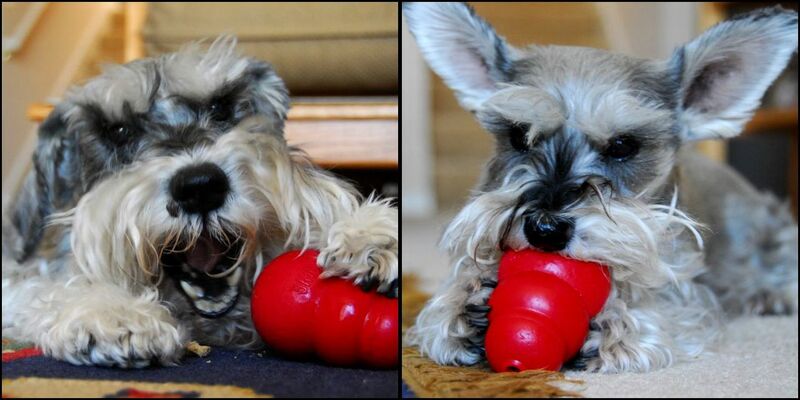 But boy, oh boy, do they love their Kong Bones! 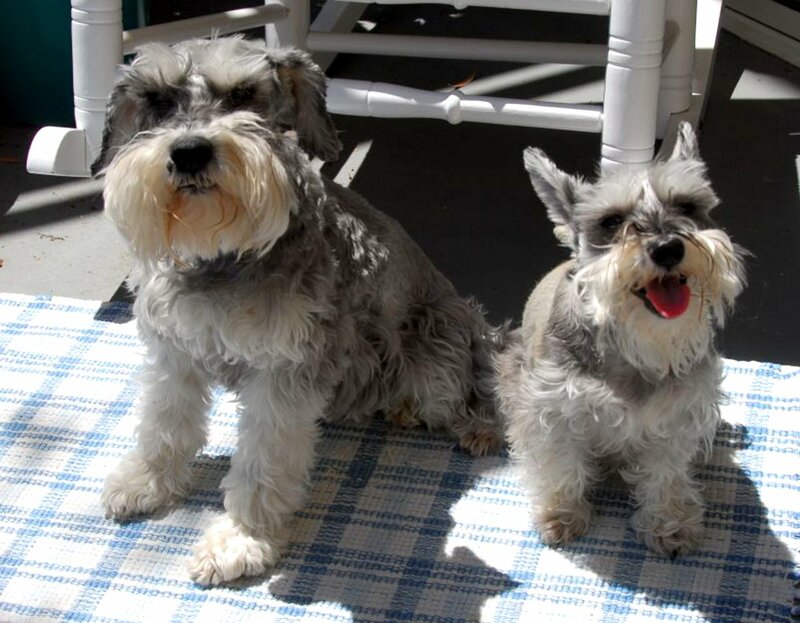 This entry was posted in An Irish Miracle, miniature schnauzers, writing acknowledgements, writing companions on June 5, 2012 by RMBadmin.